The property is situated on a residential road close to local shops and amenities. The open spaces of Canterbury Recreation Ground are within close proximity. Transport links are provided by West Croydon Rail Station. The property is subject to an Assured Shorthold Tenancy for a term of 12 months commencing 7th May 2018 at a rent of £1,800 per calendar month. Disclaimer - Property reference 84400. The information displayed about this property comprises a property advertisement. Rightmove.co.uk makes no warranty as to the accuracy or completeness of the advertisement or any linked or associated information, and Rightmove has no control over the content. This property advertisement does not constitute property particulars. The information is provided and maintained by Auction House London, Hampstead. Please contact the selling agent or developer directly to obtain any information which may be available under the terms of The Energy Performance of Buildings (Certificates and Inspections) (England and Wales) Regulations 2007 or the Home Report if in relation to a residential property in Scotland. Auction Fees: The purchase of this property may include associated fees not listed here, as it is to be sold via auction. 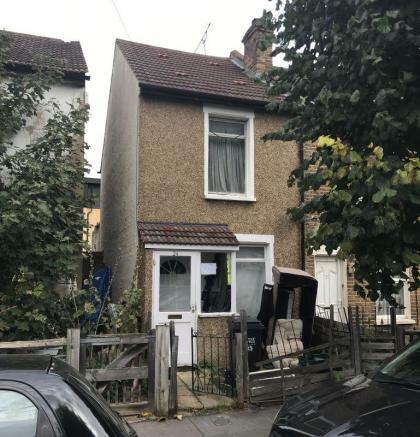 To find out more about the fees associated with this property please call Auction House London, Hampstead on 020 7625 9007.